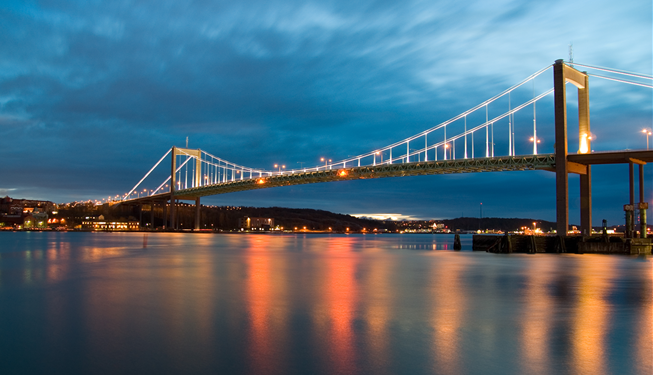 The 933-meter long Älvsborgs bridge connects the northern part of Gothenburg with the south. 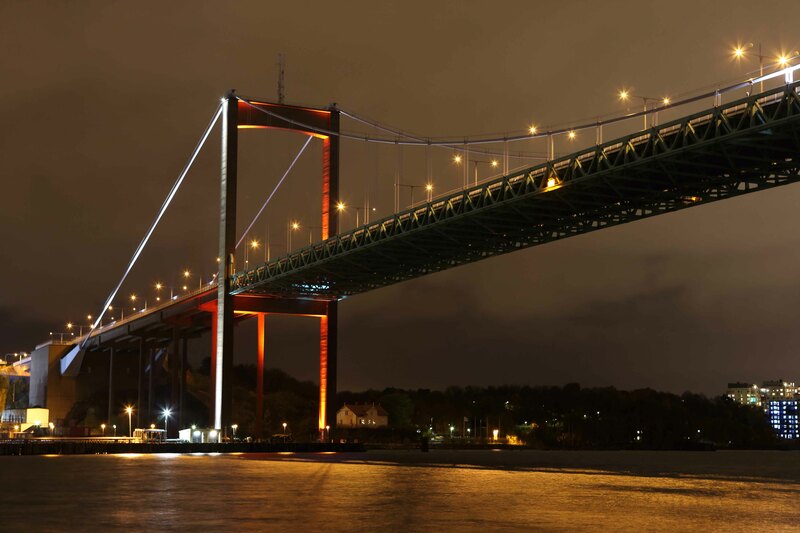 The bridge, with its 107-meter long pylon, was built in 1966 and has since been one of the city's most outstanding landmarks. 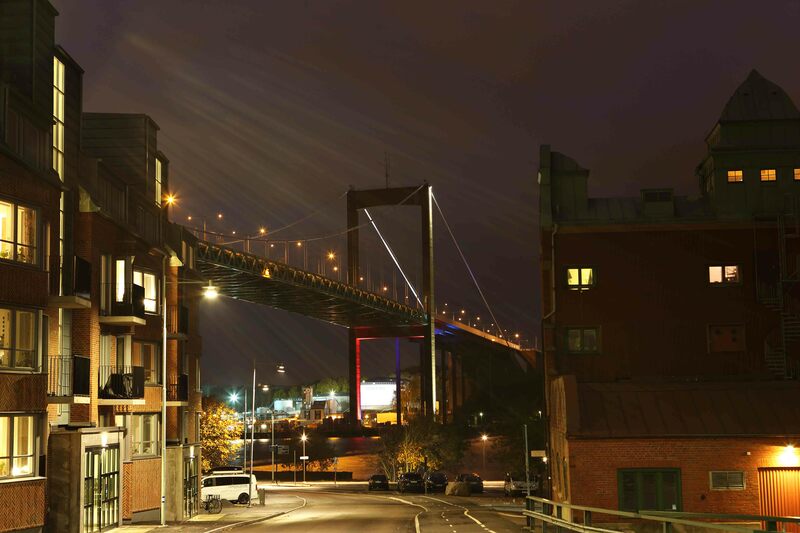 In 2017 the bridge got a new lighting scheme that required multiple dynamic control features. Control Dept. delivered a mix of different lighting protocols as well as programming and comissioning of the facility. The lighting systems was hand picked for its stability that the massivev construction demanded and the flexibility that the lighting design needed.